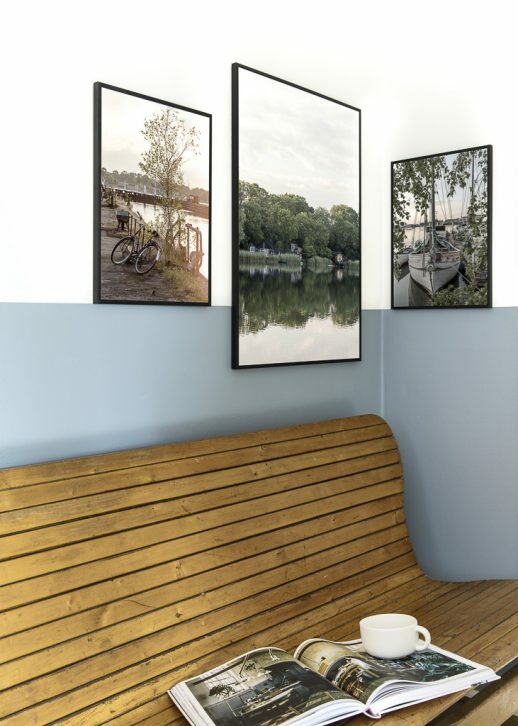 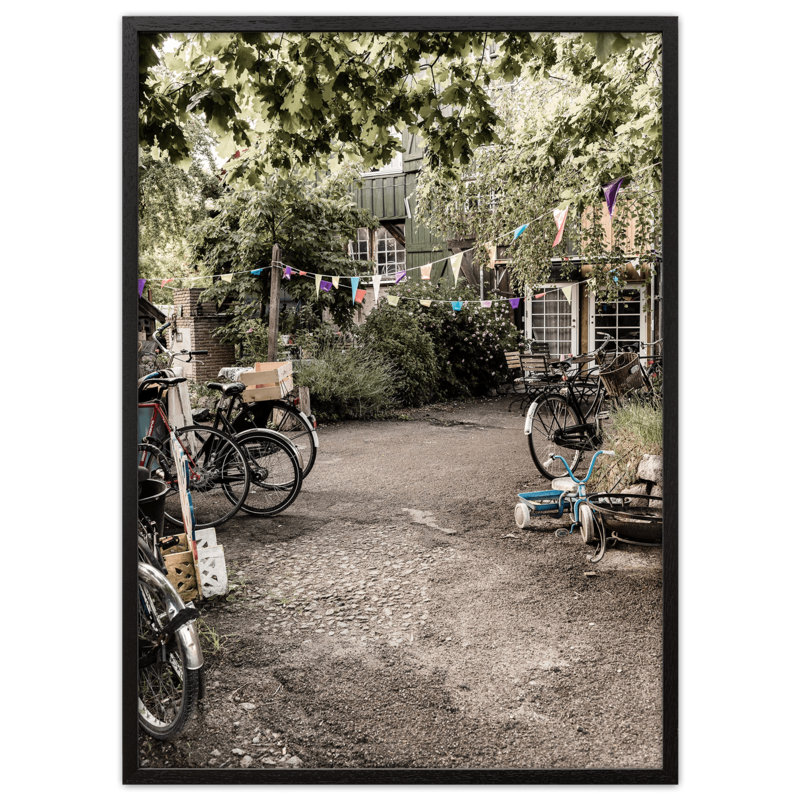 The poster of the backyard is take inside of Christiania. 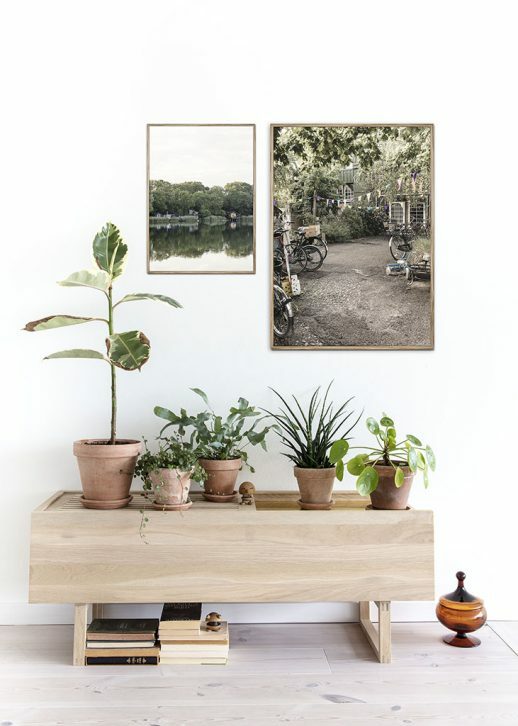 Christiania is a jumble of small roads and paths – this is where you will find small pockets of something untamed and organic. Inside the green one can find small oases to take a break from buses, cars and busy bikes. 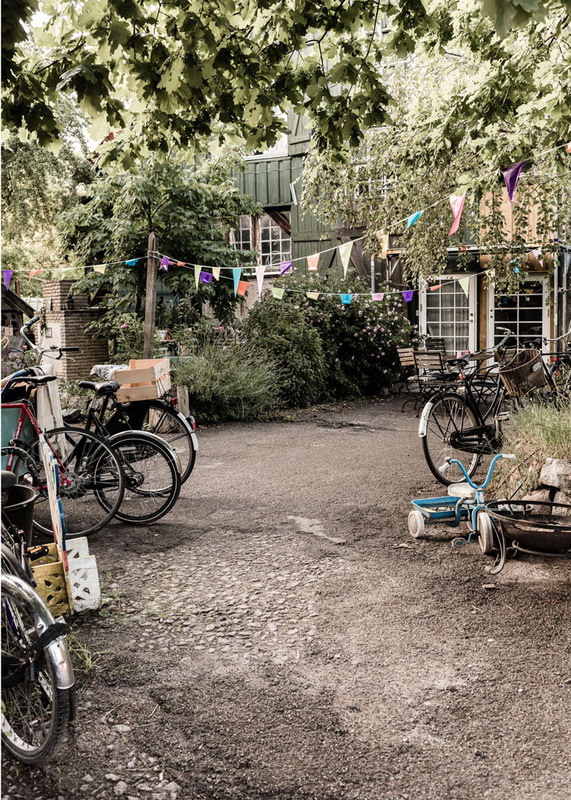 Here in the courtyard you can get the feeling of being far from Copenhagen. The leafy green trees create peace and shields against noise.